Tinder Stacks for iMessage: Is It Useful? The social media dating site Tinder has changed the dating game tremendously. Tinder has made it possible for users to simply swipe left or right and decide whether or not they would date that person. Now Tinder has made it even easier to make decisions for Tinder Stacks for iMessage. Tinder Stacks for iMessage allows users to swipe left or right on groups of photos. If you are unsure of what photo from a group of photos you should post, need to choose a filter for your photo or even need advice on what outfit to choose, you can “stack it.” “We know that life is full of difficult decisions,” the Tinder team wrote in a blog post. By using Tinder Stacks and uploading your photos you can let your friends help you decide what photos to post or what outfit to wear. Tinder’s CEO Sean Rad said, “I think it’s awesome when you think about billions of connections that would have never existed before. Everyday we hear stories about how people’s lives are being changed. That’s pretty profound and awesome.” According to News.com, Rad hopes the mobile dating service will become a “social discovery” app that creates all types of connections between human beings, not just the romantic ones. Tinder Stacks for iMessage is just one effort being put forth to further the mobile dating app’s services. 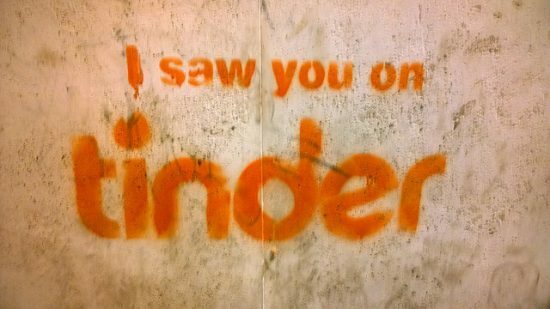 Over the summer Tinder launched its Social app in Australia, Canada, New Zealand, India, the United Kingdom and United States. This new Tinder app allows users to create groups and make plans with people. You can plan a house party, concerts, bar crawls and other events through the app. Just earlier this week Tinder partnered with Spotify so that users of the mobile dating app can broadcast a song from their Tinder profile. They can listen to their favorite artists in the app now and also discover who shares their taste in music. When Will Tinder Stacks for iMessage Be Available? If you are interested in trying Tinder Stacks for iMessage you are in luck. Tinder has already launched the new feature for iOS 10-capable devices. To be able to access Tinder Stacks you have to upgrade your device to iOS 10. This will provide you access to the iMessage app store. If you’ve not already downloaded Tinder, you’ll have to download it to access Stacks. Then open your iMessage app and tap “Start a Stack.” From there you will be able to choose the photos you want to share for consideration. Once everyone has weighed in on the photos you can tap on the Stack and see everyone’s opinion. With Tinder Social, Tinder Stacks and the new partnership with Spotify Tinder is not showing any signs of slowing down in popularity any time soon. Its parent company, Match Group Inc, has been steadily growing in the stock market for five months, which is likely a direct result of Tinder’s overall success. Do you think Tinder will continue to grow or fade out?